Usually, I switch up my makeup on a daily basis, choosing different products to cater to my change in mood, the weather or how my skin is feeling. Falling into bad habits recently, the cooler climate has made me want to stay in bed past my regular, 7am wake-up call, so I haven't had as much time to rifle through my collection every morning. Instead, I've filled my makeup bag with a variety of staple products and, for once, I've been happy to stick with them for longer than a week. 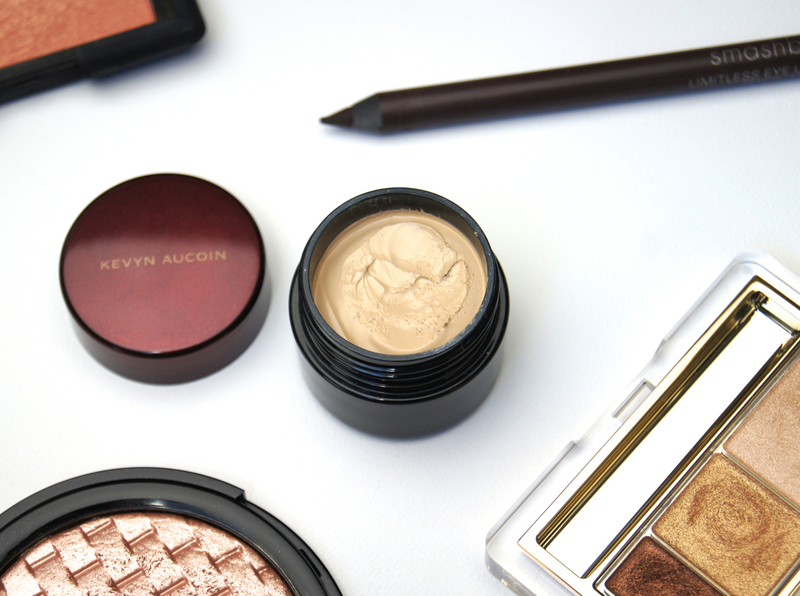 First up is my holiest of holy-grails - Kevyn Aucoin's Sensual Skin Enhancer. This is the perfect, multi-tasking, base product for those who want the option of creating multiple finishes from one, versatile product. Used alone, it acts as a maximum coverage concealer, but when mixed with a daily moisturiser or lighter foundation, you can build the coverage to the level you want. Seriously potent, I'm not exaggerating when I say that you literally need the tiniest dot of this miracle product to create a totally flawless canvas. Silky smooth and creamy, the formula melts into the skin and, although it's able to camouflage even the darkest imperfections, it can look natural when generously buffed in, or applied with a beauty blender. 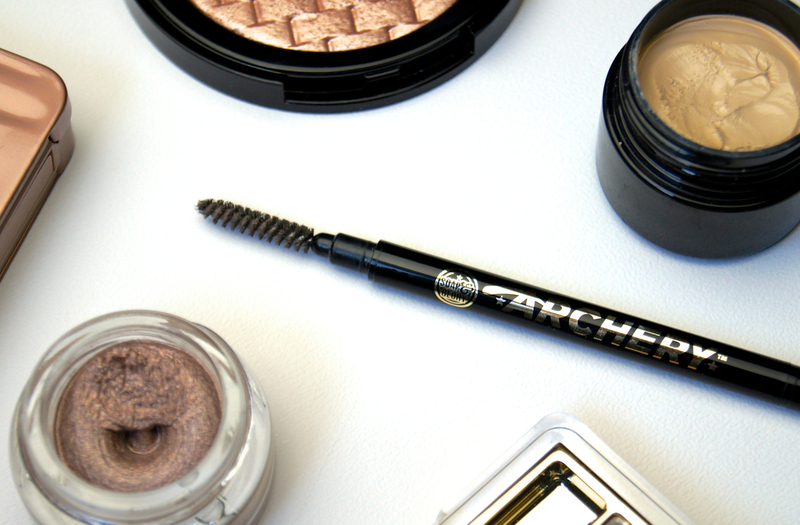 For brows, there's nothing that gets the job done quicker than the Soap & Glory Archery 2-in-1 Brow Pencil & Brush. Great quality, not only is the pencil soft enough to draw on easily and has small enough of a point to mimic the look of real, individual hairs, but the texture is also waxy enough to stay in place all day. The addition of a spooly at the other end of the pencil, allows you to groom through the brows as you go, to soften them and avoid that heavy, drawn-on look. I'm such a fan of brow powders, but a pencil is far more practical when you're short on time and, although I've dabbled with ABH's Brow Wizz and the Hourglass Arch Brow Sculpting Pencil, this one costs a fraction of the price. 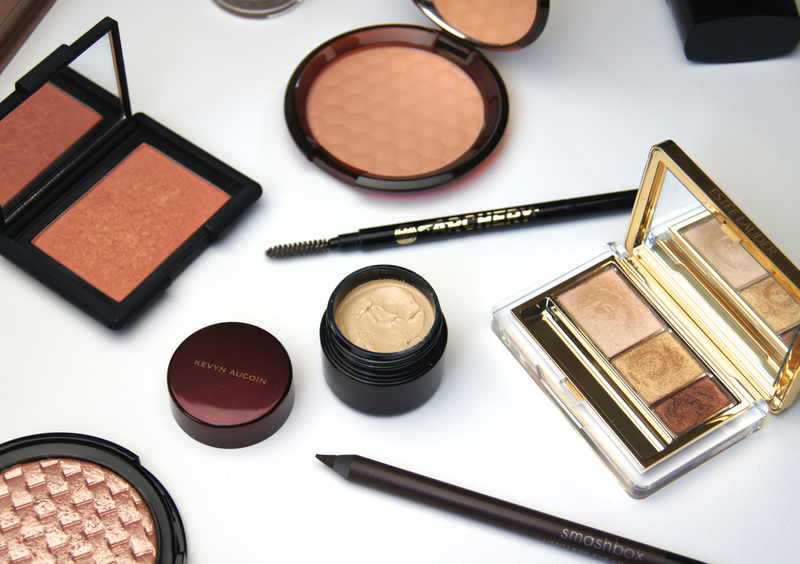 Considering autumn is right around the corner, it's time to tone down that sun-kissed, bronzed glow. Without leaving my skin totally drained of colour after applying foundation, I still like to dust a more subtle bronzer over the cheeks to liven up the complexion. If you want a soft colour that never looks orange, has no shimmer in it whatsoever and doesn't leave a dry, powdery finish on the skin, then the The Body Shop Honey Bronze Bronzing Powder is the one. As it has a matte finish, you can use it to gently sculpt the face, too. To fit with the warm, rusty amber and bronze tones that are synonymous with autumn, from fallen leaves to cosy fires, I always reach for Nars Luster Blush more during A/W. Nars blushes are some of the best, hence why I have amassed quite a collection, thanks to their amazing pigmentation, finely-milled texture and long-lasting colour. Although this bright, shimmery, copper shade isn't a typical colour used to recreate a natural flush, it's honestly one of my all-time favourites. Adding an illuminating veil of warmth to the cheeks, it just looks so gorgeous, especially with a neutral eye and red/plum lip. As always, I have to have some sort of golden, eyeshadow palette in my makeup bag. Estee Lauder's Pure Color Eyeshadow Trio in 05 Gilded Chocolates contains three, pearlized shades - a soft champagne, warm gold and rich bronze. 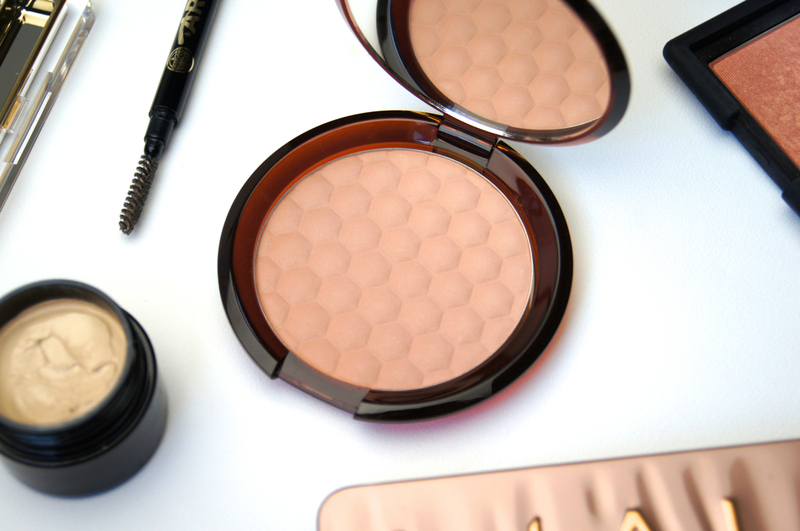 Buttery in texture, the shadows are so smooth and feel more like a cream than a powder, yet feel weightless on the eye. Intensely pigmented, each shade stays strong all day, without fading or creasing, even when I haven't bothered prepping with a primer first. Apart from one separate, matte eyeshadow I use to add depth to my socket and lash-line, these are pretty much the only eyeshadows I've been wearing, recently. 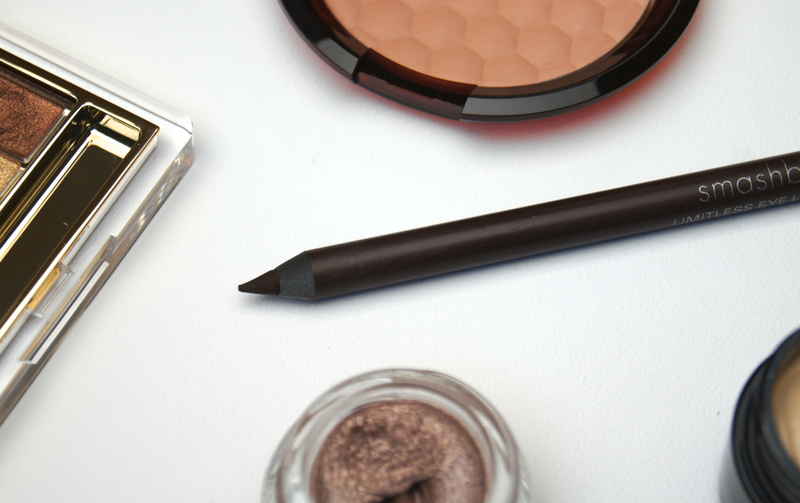 Looking for a long-lasting, brown eyeliner that won't smudge or fade after just an hour or so? Give the Smashbox Limitless Eye Liner in Java a try. Traced along the waterline and across the top and bottom lash-lines, this pencil glides on comfortably and sets in place in seconds. Many liners tend to disappear from the waterline in particular, after a few minutes, but Smashbox's formula stays strong all day. Brown liners can sometimes have wishy-washy pigmentation and don't always add enough definition, but Java is such a rich, chocolate shade that the finish is super dark, whilst still looking more natural than black. 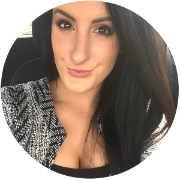 What are your current, makeup bag staples? 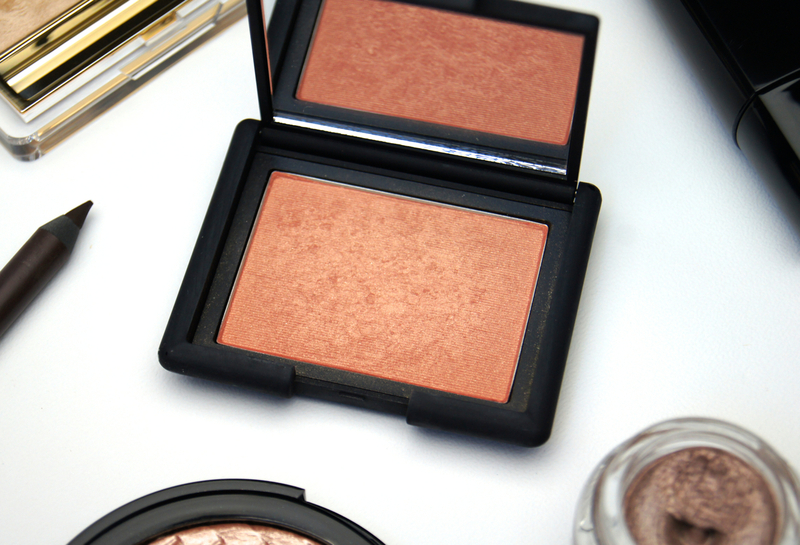 That NARS Luster blush and Estee Lauder Gilded Chocolate Palette look absolutely beautiful! A makeup bag staple for me would definitely be a lightweight but good coverage base like the Jouer Matte Moisture Tint! Because of the finish, it allows me to skip powder, too! Nars Luster is my go-to blush...i love it! 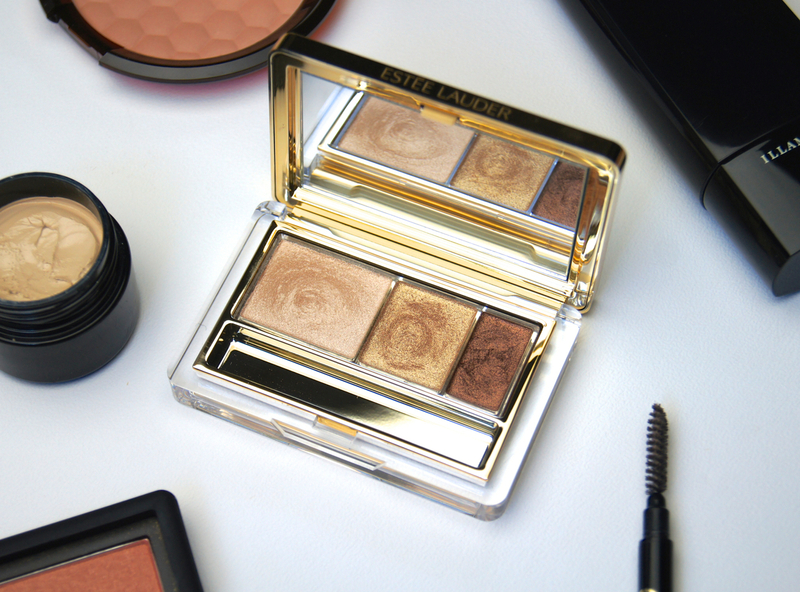 If i don't know what blush to wear, i always reach for Luster. Estee Lauder eye palette looks amazing and the Kevyn Aucoin product sounds really interesting I don't own anything from this brand yet, but i will definitely check it out.